Railroad snow plows may be some of the least used pieces of maintenance equipment a railroad owns. However, they are also some of the most important when called upon to open a rail line that is buried in several inches or feet of snow. While some diesel locomotives today are equipped with small plows on the head end, this is only effective for light snowfall as once snow totals reach into the feet railroads generally have to break out heavier equipment. Historically, this would mean either the venerable wedge plow or legendary rotary plow. 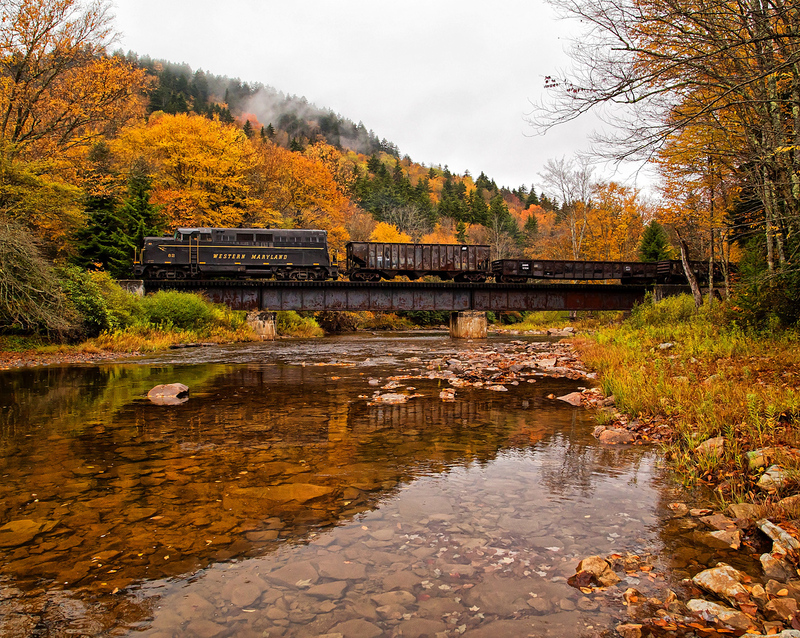 However, while of those plows still find work today, railroads often use other tools at their disposal such as flangers, Jordan Spreaders, or a ballast regulator equipped with a plow. 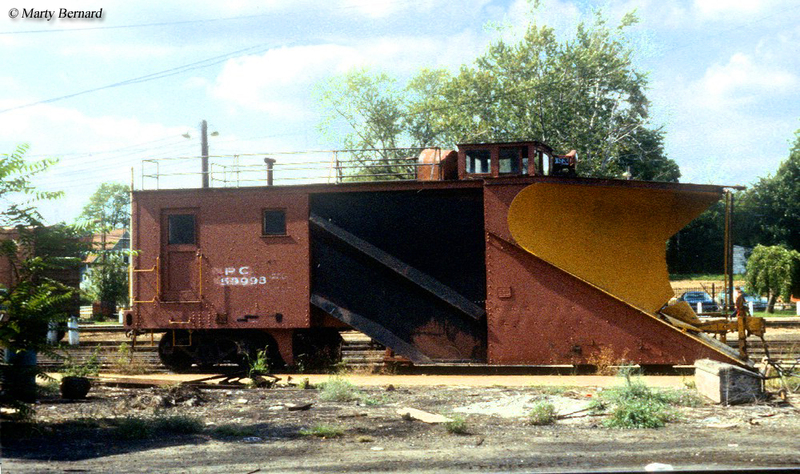 One of the first, and most common types of railroad snow plows used was the wedge plow. As its name implies the wedge plow used a simple wedged design, in later years made from reinforced iron or steel. 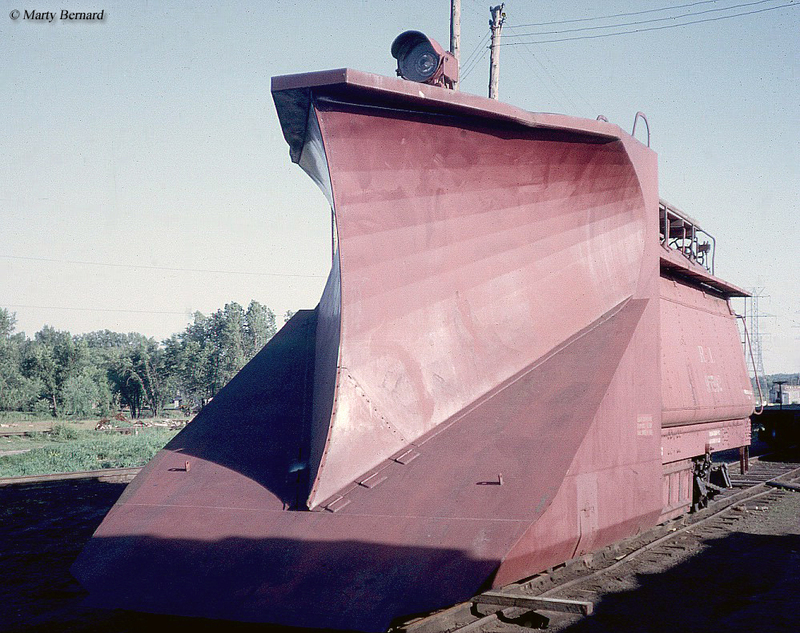 The railroad snow plow itself was usually attached to the front of either a customized rail car of some type with a pilot house attached to the top for the spotting crew. One of the most common types of wedge plows were those built by the Russell Snow Plow Company, which began manufacturing the machines after World War I. 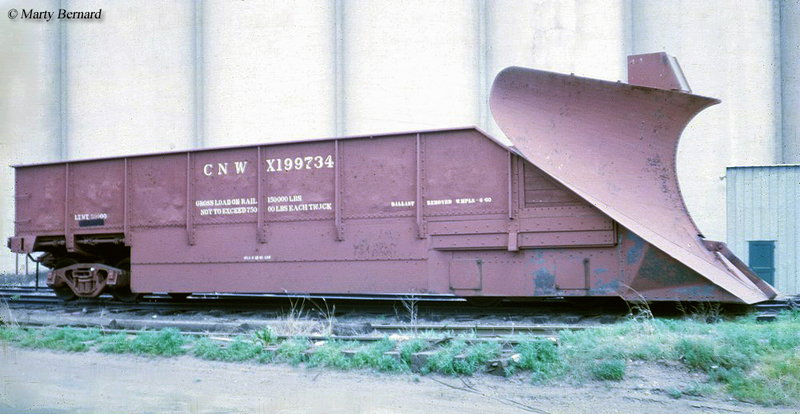 Developed with a bit of versatility, Russells were equipped with wings attached to the outside of what was known as the "tongue" (the wedge device that actually plowed the snow clear of the track), which could be adjusted. 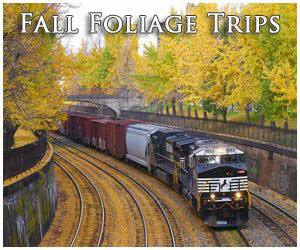 All wedge plows could not propel themselves and required being pushed by a locomotive. For maximum performance these plows were weighted as heavy as possible so they could not only move larges amounts of snow but also to decrease the chance that the machine would derail at an iced-over flangeway, particularly at crossings. Some of the Russell plows are still in use to this day as they are still an effective means to remove snow from the tracks. 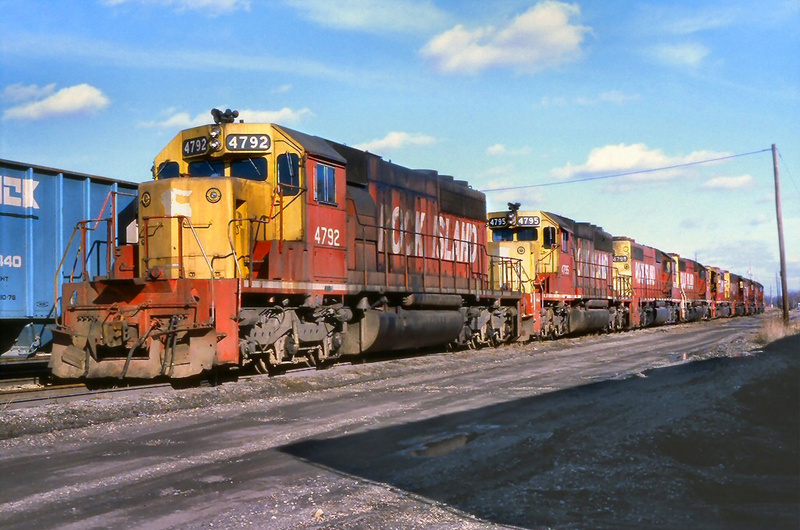 While they remain in service their effectiveness has been diminished by newer railroad "snow plows", which can perform multiple tasks aside from just removing snow (such as ballast regulators). The biggest problem with wedge plows, and any plow which has no means of self-propelling itself is that it not only must be pushed one or multiple locomotives (increasing the cost of operating the equipment) but also the inherent dangers involved because the spotters in the plow must do the navigating for the engineer(s) and crew trailing. To be most effective in removing snow, wedge plows must operate at high speeds sometimes as fast as 50 mph and if a spotter does not know the territory or loses focus disasters and derailments can occur as they must constantly be on the lookout for upcoming obstacles (such as crossings, where the plow must be lifted so as not damage and derail the equipment). Interestingly, sometimes in areas which receive large amounts of snow railroads will place markers at crossings, and other ground obstacles, high enough that even in the deepest snow a crew can know exactly where and when a crossing is located. When most railfans and historians think of railroad snow plows, one comes to mind among all others, the legendary rotary plows. These behemoth machines were fist developed by J.W. Eliot as early as the 1850s, and improved upon by Orange Jull. However, the rotary was not perfected until Jull sold the rights of the rotary design to John and Edward Leslie in 1883. The initial design by Jull worked by using two large fans that spun in the opposite direction of one another at a desired rpm with the two fans working in tandem; the outer-most set sucked the snow into the blades while the second fan deposited the snow out of a chute located above. The Leslies perfected and simplified this initial design by using a single fan which could trap and scoop the snow, and then depositing it out of the chute. 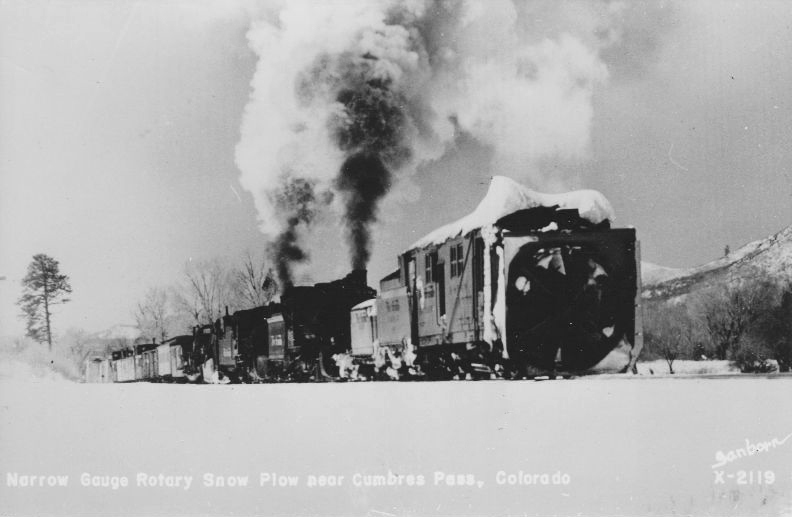 Overall superior to the initial design the Leslie rotary plow was to manufacturers for production and it became the most successful such rotary ever built (the Leslie name was eventually purchased by the American Locomotive Company, Alco). The main advantage of rotary plows was that they could move tremendous amounts of snow and clear lines that were buried in far deeper snowfall totals (even heavy, wet snow) than wedge plows. Not only could the fan design move more snow than the simple wedge, the fan itself was driven by a steam engine, giving it the power to move all of that snow. A rotary still had to be pushed by a trailing locomotive just like a wedge plow. 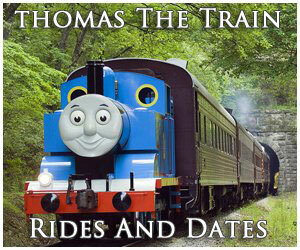 However, it could do so at much slower speeds, which was much safer for the spotting crew who did not have to feel like they were on a roller coaster ride zipping along down the line. 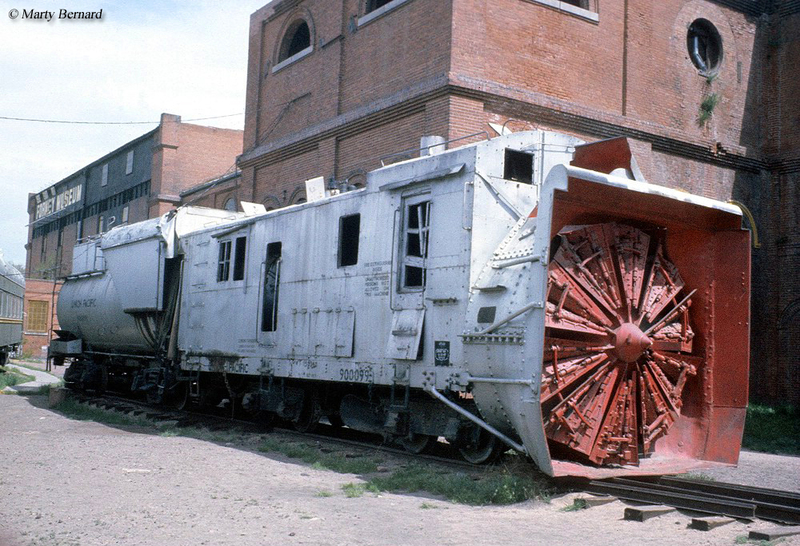 As railroad snow plows go, rotaries did have an inherent draw back. Because they were steam driven they required a full crew to keep them operating, not to mention the spotting crew that was also on board. 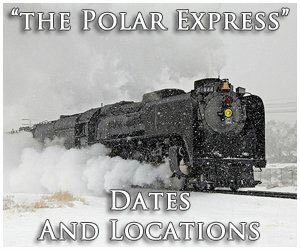 Being very expensive to operate, and typically only needed where extremely large amounts of snow fell during the winter season, they were mostly relegated to western mountain regions such as on the Southern Pacific and Denver & Rio Grande Western railroads although a few rotaries could be found on eastern lines as well. Due to high costs rotary plows were only brought out when absolutely needed but they could put on quite a show if one was lucky enough to witness them in action. Today, a few holdouts remain but they are very rare to see. 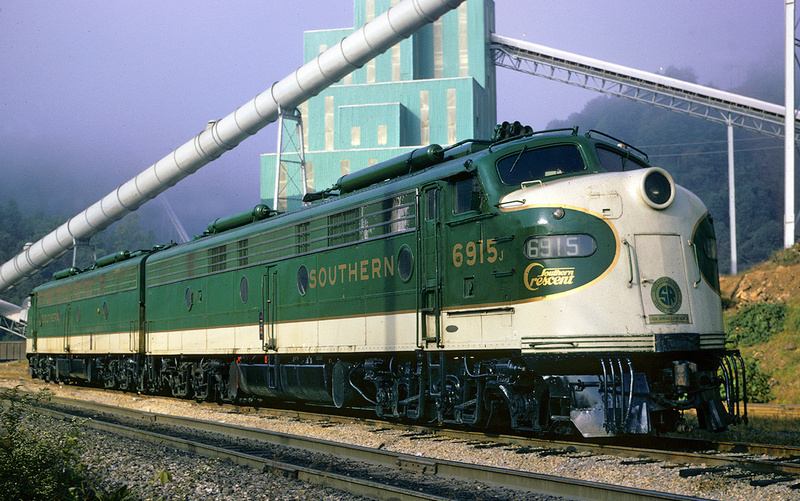 Even when some rotaries were updated with diesel technology which made them cheaper to operate, such as the Southern Pacific's fleet used on Donner Pass, they have lost appeal for newer forms of snow removal equipment. 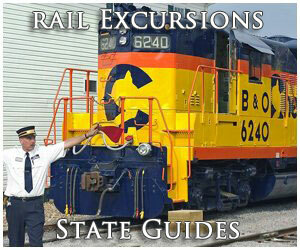 Today, railroads rely on a host of cheaper alternatives to keep the rails clear such as snow blowers (which can be equipped to ballast regulators, which can also be equipped with traditional plows) and snow jets, such as those built by Harco and Essco. Jets and blowers are ideal for keeping switches and yards clear of snow, or for electrified lines that use third rail and must keep it clear of snow and ice. Still, when the snow is relentless nothing can quite compare to a rotary or wedge plow, which will still be called upon today in those rare circumstances.